This week, Amy asks us to share photos that focus on change. As we transition seasons, it is a fitting topic. I decided, instead, to focus on changing technology for the farmers at harvest time. For more info on the challenge post, check out Amy’s challenge post here. 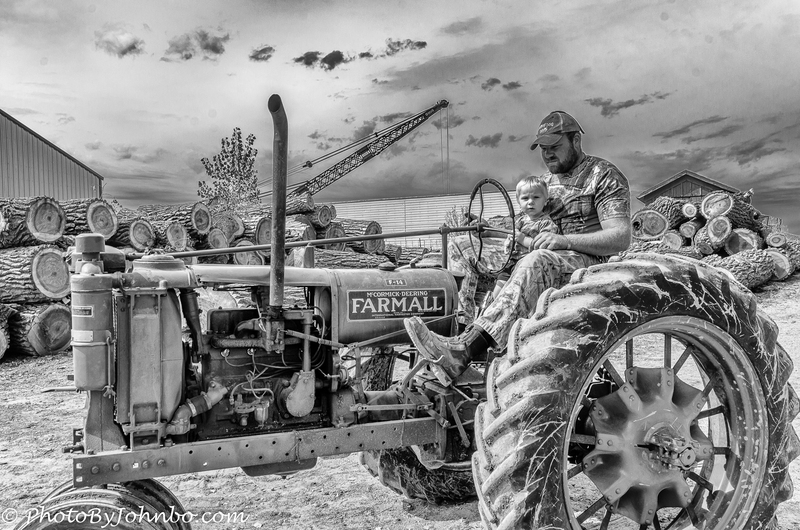 My response to the challenge focuses on the farmer’s all-around workhorse, the tractor. One other change featured in my post, each one of these images were converted to black-and-white, each image changed to monochrome in a different way. 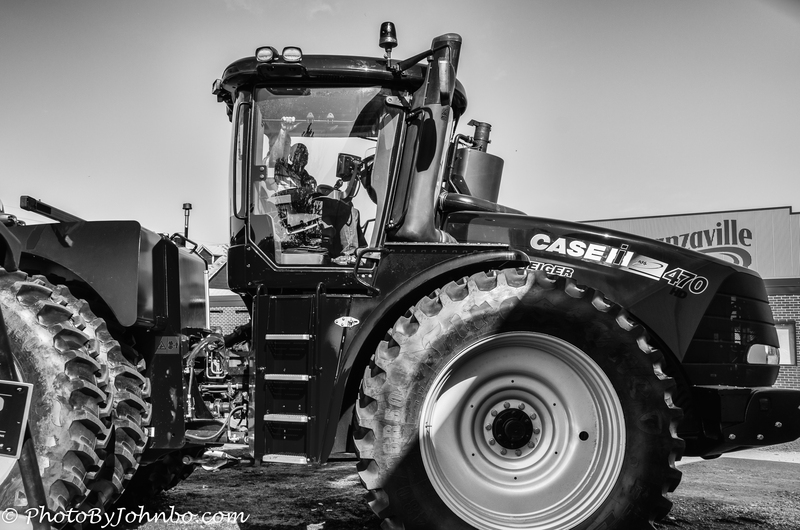 I open the series of images with a shot of a modern Case tractor. These beautiful workhorses have computer control, GPS, air conditioning, and many of the comforts of home… as well as a 6-figure price tag. Big equipment like this is often powered by diesel fuel. Moving back to an earlier era, around the mid-20th century, tractors were much simpler. They provided little more than the ability to move farm equipment around and maybe they had a power take-off for operating external equipment. These tractors were typically powered by gasoline, basically the same fuel that powers automobiles. Some of the first tractors of the 20th century, like the example above, were powered by steam. In this image, the water storage tank is being filled. As water escapes into steam, it must be replenished in the boiler. In addition to fuel to power the boiler, a fresh water supply was necessary. Prior to the invention of the tractor, the workhorse of the farmer was, that’s right, a work horse. These powerful animals plowed fields and provided transportation for the farmers of the day. The workhorse was a work horse—love that John! Great choices, where did you find the antique steam tractor??? 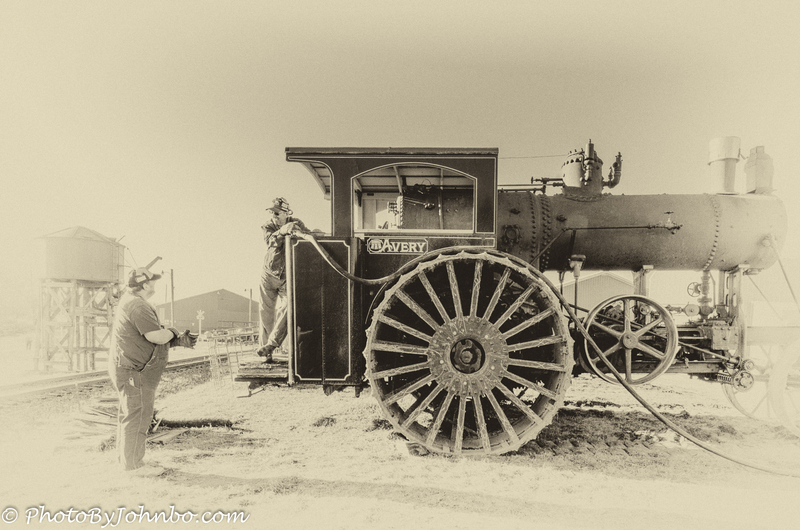 Steam tractors are a staple of the Western Minnesota Steam Threshers Reunion every Labor Day weekend in Rollag, MN. They even have steam tractor pull contests. Thank you for walking us through the changing technology for the farmers! Horses contributed so much back then. Thanks for stopping by and commenting. I want aware of the Dickens connection. 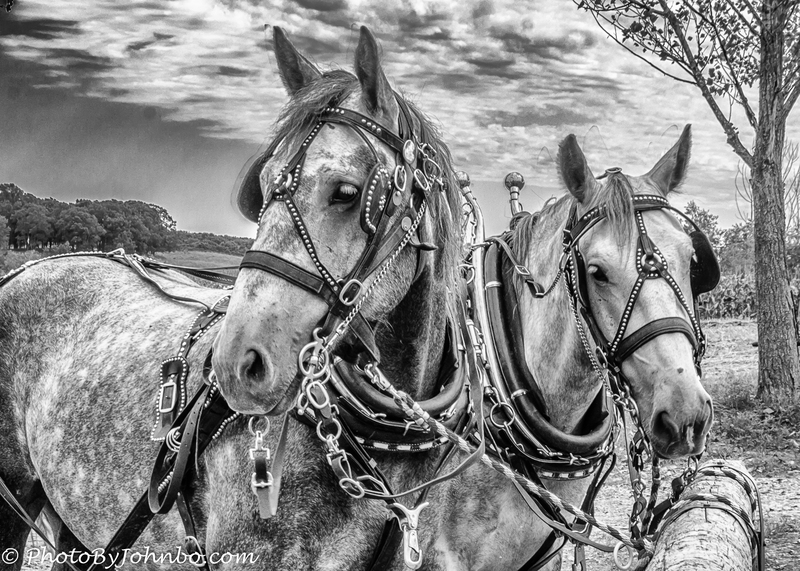 John, beautiful black and white images, especially the horses. The details in these images are specular! Thanks much for the compliment and thanks for the follow! John, these are absolutely beautiful shots! Love the editing and the detail. Yeah, it is fun playing with the photo software trying different looks. Thanks!